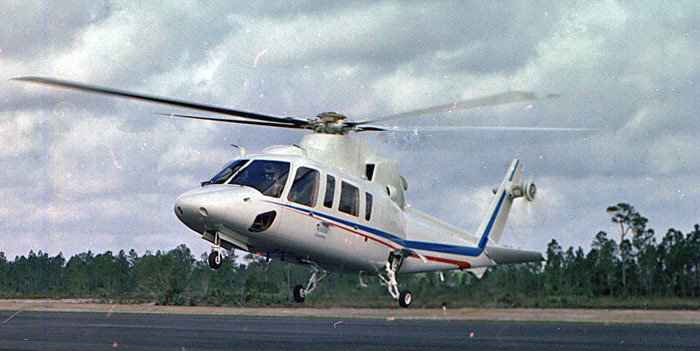 13 March 1977: The protoype Sikorsky S-76A Spirit made its first flight at the company’s Development Flight Center, West Palm Beach, Florida (06FA). This was the number two aircraft, serial number 76002, registered N762SA. 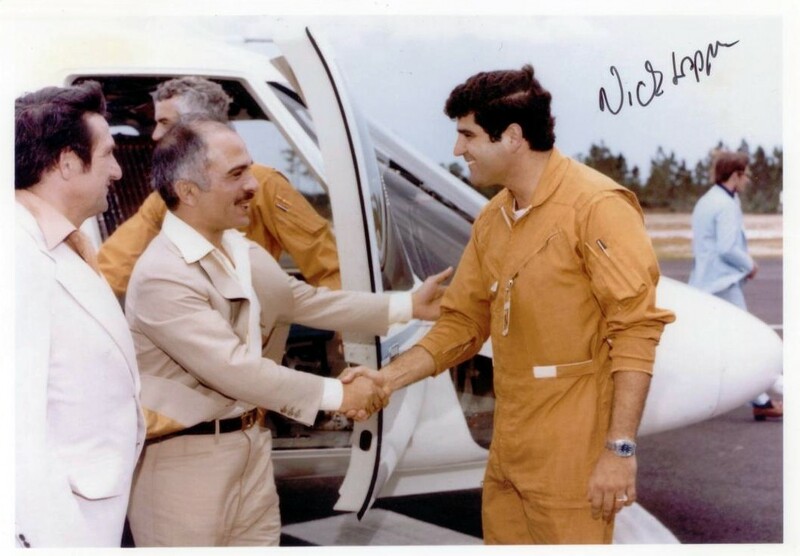 Sikorky’s chief pilot, John Dixson, and S-76 program test pilot Nicholas D. Lappos were in the cockpit. The prototype was rolled out 11 January 1977. The Sikorsky S-76 is a twin-engine medium helicopter designed to carry up to 12 passengers 400 nautical miles (460.3 statute miles, 740.8 kilometers) for the offshore oil industry. It is flown by two pilots and is certified for instrument flight. 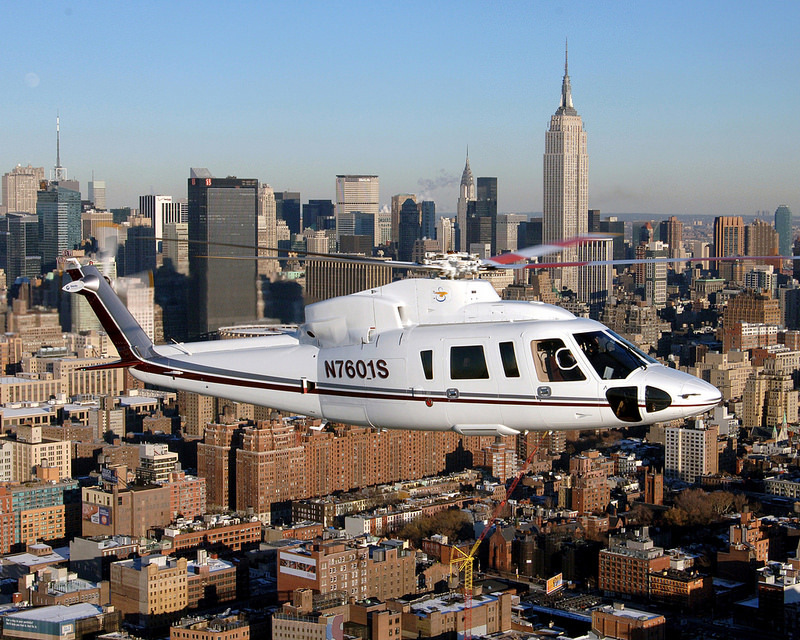 The helicopter can be configured to carry up to thirteen passengers. The S-76 is used as a passenger transport, executive or VIP aircraft, and in law enforcement, search and rescue, or military service. It is also widely used as a medical transport helicopter. In 1979, Sikorsky proposed the new helicopter for consideration as the U.S. Coast Guard Short Range Recovery Helicopter, along with competitors Aérospatiale and Bell Helicopter. 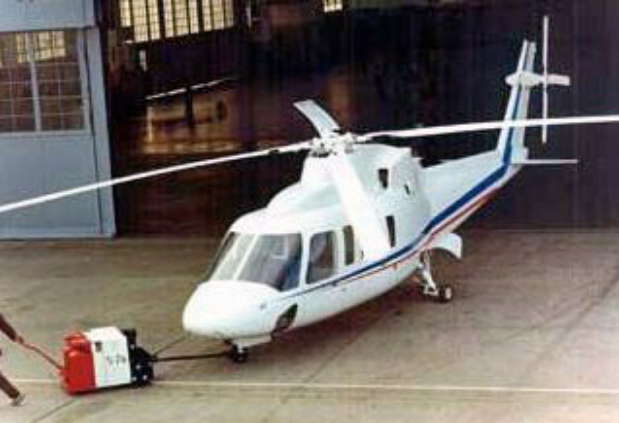 The S-76 was considered to be the most suitable of the three but the company made a business decision to withdraw before any contract was awarded. The Aérospatiale SA-365 Dauphin variant was finally selected and became the MH-65 Dolphin. The S-76A has an overall length of 52 feet, 6 inches (16.002 meters) with rotors turning, and overall height of 14 feet, 6 inches (4.420 meters). It had an empty weight of 7,132 pounds (3,235 kilograms) and a maximum gross weight of 10,500 pounds (4,763 kilograms). The four-bladed, fully-articulated main rotor has a diameter of 44 feet, 0 inches (13.411 meters). The main rotor hub is constructed of forged aluminum and uses elastomeric bearings to allow for blade flapping and lead-lag. The blades are made of composite materials formed around a hollow titanium spar. The blade tips are swept to reduce the formation of blade tip vortices. Each blade is 19 feet, 11¾ inches long (6.090 meters). The main rotor turns counter-clockwise, as seen from above. (The advancing blade is on the right.) At 107% NR, the maximum speed with power on, the rotor turns 313 r.p.m. The S-76A was originally powered by two Allison 250-C30 turboshaft engines mounted side-by-side, behind the main transmission. The engines were rated at 557 shaft horsepower (maximum continuous power). 100% torque is 564 foot-pounds. Later production models have used Turboméca and Pratt & Whitney Canada engines. The S-76A has a cruise speed and maximum speed (VNE) of 155 knots (178 miles per hour/287 kilometers per hour). (The helicopter’s cruise speed is the same as its maximum.) The service ceiling is 15,000 feet (4,572 meters). The maximum altitude for takeoff and landing is 6,900 feet (2,103 meters). 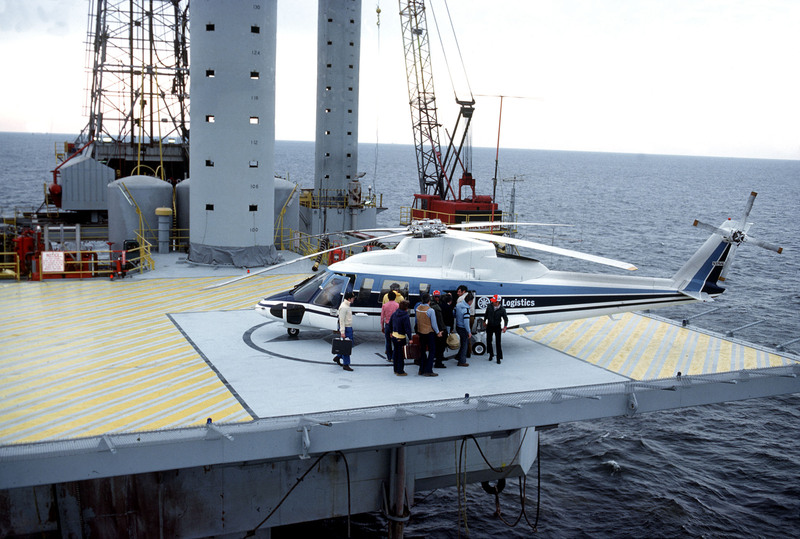 The Sikorsky S-76 remains in production, with more than 1,100 helicopters built. There were 307 S-76A and S-76A+ variants produced, followed by the S-76B, S-76C, -C+ and -C++. The current production model is the S-76D.